Rodner Figueroa Breaks Silence, Posts On Social Media After Univision Firing Scandal! 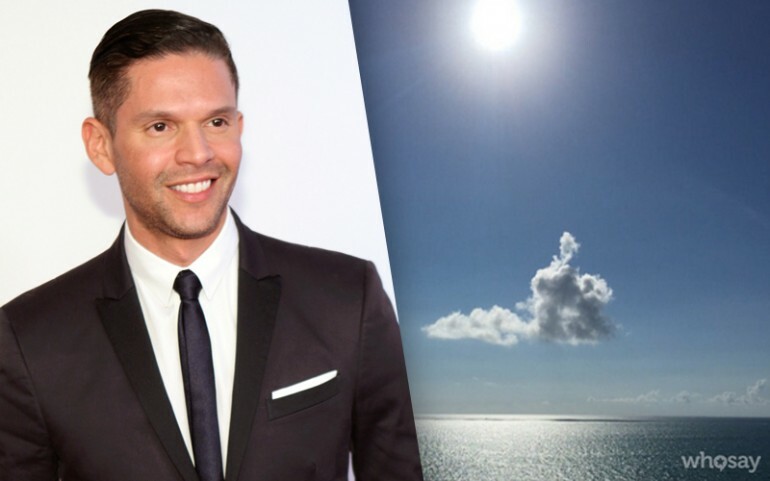 The former Univision on-air talent Rodner Figueroa returned to social media after being absent for over a month. Figueroa, who was fired from the top Spanish-language network was let go after an unfortunate comment about Michelle Obama's appearance. Following the scandal the former "El Gordo y La Flaca" host left social media, except for thanking celebrities that supported him after the incident. Rodner broke his silence after weeks and posted a beautiful ocean-view photo on WhoSay. "What a beautiful day," he captioned the picture. "I just wanted to thank you for the love and support. I love you." See the photo down below and tell us if you would like for Rodner Figueroa to return to television. On March 11, Rodner Figueroa did a segment on an artist that uses make-up to look like celebrities. One of these famous personalities was the First Lady of the U.S., Michelle Obama, to which Figueroa said she looked like part of the cast of "Planet of the Apes." The majority of people thatwatched the clip believe that Figueroa was in fact referring to Obama, but he contends he was talking about the make-up artist himself. Following the airing of the segment he was let go and the following day, Univision released the following statement: "Yesterday during our entertainment program 'El Gordo y La Flaca' Rodner Figueroa made comments regarding First Lady Michelle Obama that were completely reprehensible and in no way reflect Univision's values or views. As a result, Mr. Figueroa was immediately terminated." Following his termination from the network, Colgate followed suit and dropped him as spokesperson for their brand. Figueroa also issued an open letter directed at Michelle Obama. The former "Sal y Pimienta" host asked for forgiveness in the open letter to Obama. Figueroa didn't want to be deemed a racist and felt Univision humiliated him after the turn of events. "I offer my sincerest apologies for a comment that I made about the characterization from a make-up artist that I made about you in the Univision entertainment program 'El Gordo y La Flaca,'" the letter read. "I want to make it clear that I'm not racist and it was directed personally to you, but to the characterization of the artist, that left a lot to be desired. The clip in full context is proof." Read the letter in full here! 5 Reasons Rodner Figueroa On Telemundo Is A Bad Idea! Is Rodner Figueroa Going To Telemundo?